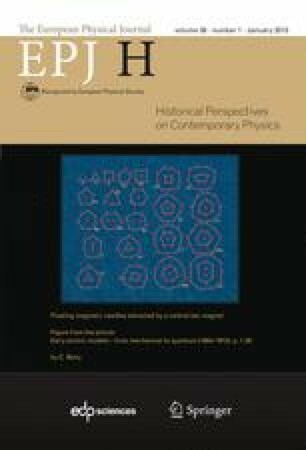 A complete history of early atomic models would fill volumes, but a reasonably coherent tale of the path from mechanical atoms to the quantum can be told by focusing on the relevant work of three great contributors to atomic physics, in the critically important years between 1904 and 1913: J.J. Thomson, Ernest Rutherford and Niels Bohr. We first examine the origins of Thomson’s mechanical atomic models, from his ethereal vortex atoms in the early 1880’s, to the myriad “corpuscular” atoms he proposed following the discovery of the electron in 1897. Beyond qualitative predictions for the periodicity of the elements, the application of Thomson’s atoms to problems in scattering and absorption led to quantitative predictions that were confirmed by experiments with high-velocity electrons traversing thin sheets of metal. Still, the much more massive and energetic α-particles being studied by Rutherford were better suited for exploring the interior of the atom, and careful measurements on the angular dependence of their scattering eventually allowed him to infer the existence of an atomic nucleus. Niels Bohr was particularly troubled by the radiative instability inherent to any mechanical atom, and succeeded in 1913 where others had failed in the prediction of emission spectra, by making two bold hypotheses that were in contradiction to the laws of classical physics, but necessary in order to account for experimental facts.